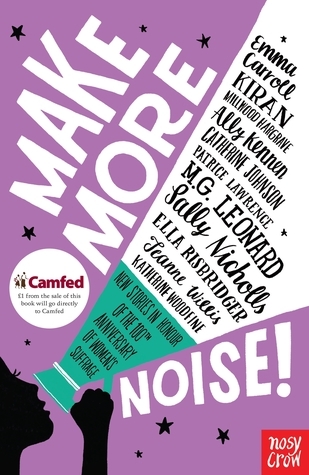 A donation of £1 from the sale of each copy will be given to Camfed, an international charity which tackles poverty and inequality by supporting women’s education in the developing world. The book will be published in time for the centenary anniversary of the Representation of the People Act 1918, which was given Royal Assent on 6th February 1918, extending the franchise to women for the first time. 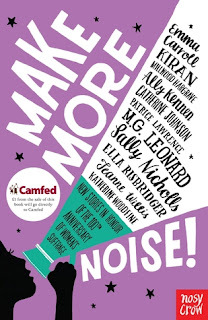 Make More Noise is a brilliant collection of short stories of girls standing up for themselves and generally being awesome. The list of contributors is a stellar line up and I thoroughly enjoyed every inspiring story. My favourite story in the book was focused on the suffragette cenus boycott of 1911 by Sally Nichols which I really loved because it was a snippet of history I'd not really ever heard about before. I also loved Emma Carroll's World War Two story focusing on land girls and Katherine Woodfine's story looking at the inequality within Edwardian society for young girls in service. I also found Catherine Johnson's story about the 43 group particularly fascinating. This is one of those books I will be recommending for a long while to come and a go to when I want to buy a present to inspire a young women that girls are awesome.